Atitlan: used to be a laid back hippie hangout set against beautiful lake " Atitlan." 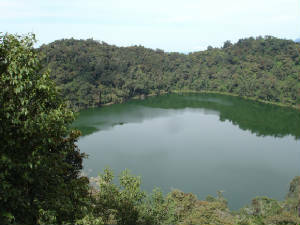 Pana is the port of entry for most of the tourists to the lake and is not a typical Guatemalan city. 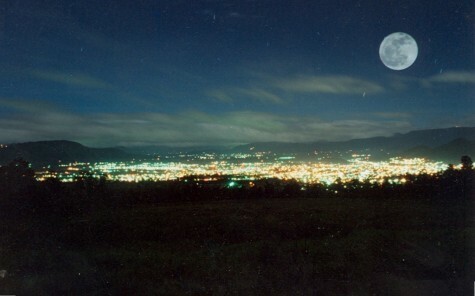 Like most beautiful places in the world. 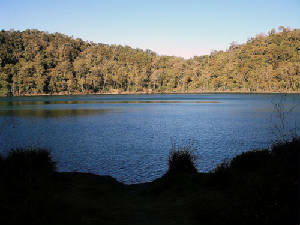 The lake is one of the most beautiful lakes in the world, a gem in its natural beauty, rich in the traditional Indian life of the villages who live around it. 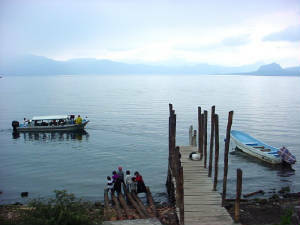 The lake is surrounded by three volcanoes San Pedro, Toliman and Atitlan. 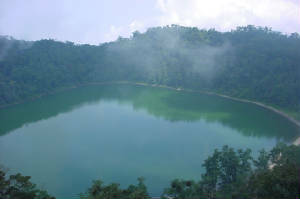 Its 12 villages around the lake make this place a wonderful experience. 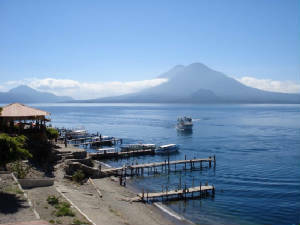 All the villages are worth seeing, and some are most popular than others, like Santa Catarina Palopo, Santiago Atitlan, San Pedro de la Laguna, Santa Cruz de la Laguna and San Marcos. 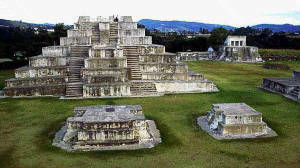 Zaculeu: was the Capitol City of the Mam kingdom, during the Post Classic, Its name in Mam was Xinabajul and the K'iché conquerors changed it to its current name, Zaculeu, that means White Land in Kiche. 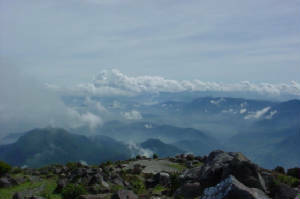 The site is located 5 Km east of Huehuetenango city, and 267 Km. West from Guatemala City, on a paved road. The site is partially restored, and there is a museum that has Ceramics from burials and other objects found there. The royal elites were the: Kachib’ix, B’amak’, Tzizol and Nima Amak’. 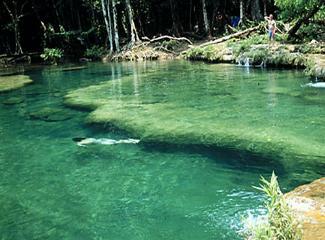 The Mam territory, extended from Pochulum or Xalcatja , to the southwest, to Momostenango in the northwest and Tzicaché, today's Huitán. 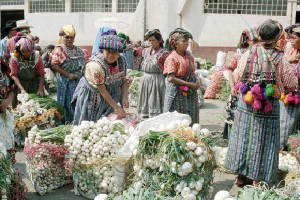 The mames had 4 important cities: Xinabjul, the most important, near Zaculeu; Kulajá, Chikitzak and Tzolojtze´. The Mam king Chunza Yo´k, fought the K'ichés leaded by K'ikab y Kakisinaj, but he lost his life and the city of Kulajá. 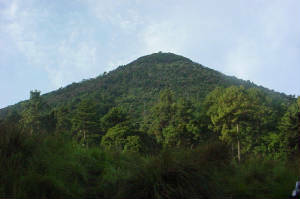 The Santa Maria volcano: is situated next to the small village of Llanos del Pinal. The view from the top of the volcano is mind blowing. You can see the volcanoes Tacana, Tajumulco, Siete Orejas, Chicabal, Lacandon, the volcanoes around Lake Atitlan, as well as the volcanoes Acatenango, Fuego and Agua. You can climb the Santa Maria in a half day. 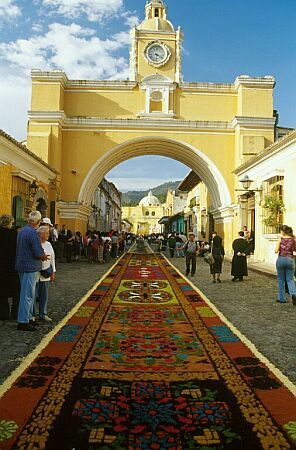 Semana Santa - Holy Ester: Passersby admire the stunning carpet of the Armas family in Antigua, Guatemala. 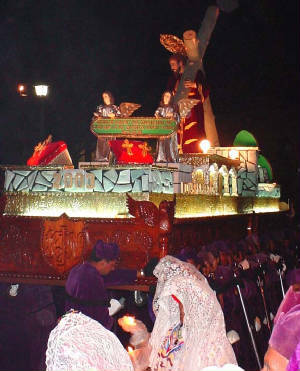 Designs and templates are worked on for months leading up to the all-night construction marathon before the Good Friday processions. Almolonga: This picturesque Quiche Mayan village is famous for its delicious fruits and vegetables, and for the excellent leather and textile work done by the local people. 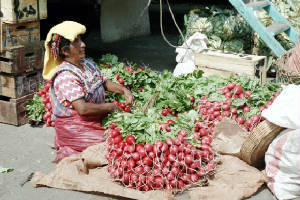 The colors of the huipiles embroidered with red, orange, yellow and green chevrons and the murmured negotiations characterize the Indian markets. 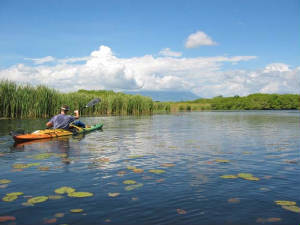 Monterrico has the best beach on Guatemala's Pacific coast and has become well known for its two nearby nature preserves: Biotopo Monterrico and Hawaii National Park, as well as the Tortugario Monterrico, a center that is protecting the endangered olive turtle. The black sand beach stretches for miles and miles and is a great place to relax and enjoy the sunsets but swimming is not recommended unless you are a strong swimmer. There is a strong undertow and the waves crash down quite forcefully. 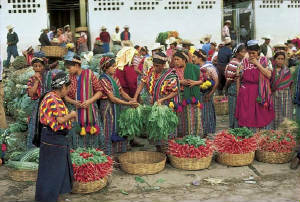 Laguna de Chicabal: The majority of the inhabitants of San Martin Sacatepequez are indigenous from the Mam tribe. For them the Laguna Chicabal is sacred and miraculous - the mystic perception becomes even more convincing due to the shape and the fog that shrouds the volcano. 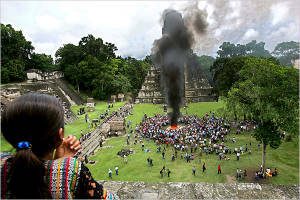 Maya priests perform traditional sacrificial ceremonies on the shore using candles, flowers and holy crosses. 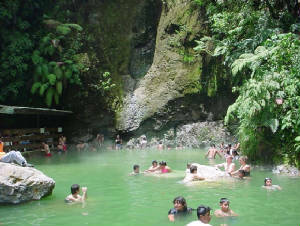 Fuentes Georginas: A beautiful natural hot springs located in a tropical jungle. 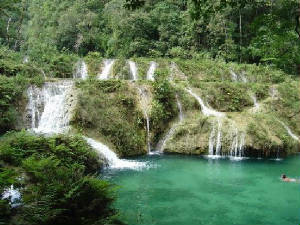 It is the most beautiful natural spa in all of Guatemala. It was built during the presidency of Jorge Ubico and was made in his honor. 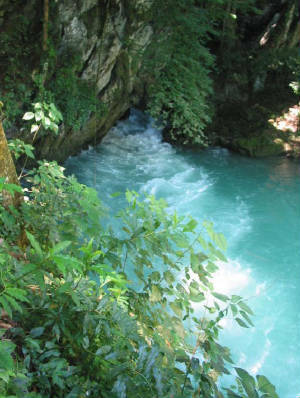 The waters at Fuentes Georginas are said to have curative powers and draw many of the local people as well as tourists from around the world. 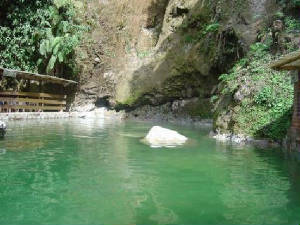 Secuc Campey Coban: Located about 10 kilometers from Lanquìn, is another beautiful spot in Guatemala. 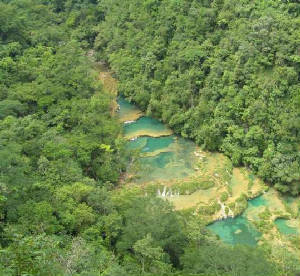 A natural limestone bridge, 300 meters long, and a series of freshwater pools running along its length make Semuc Champey well worth the effort to get there. 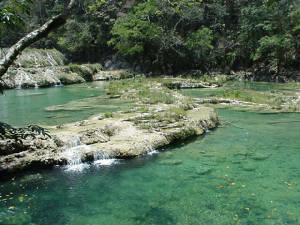 The pools, ranging in color from turquoise to emerald green, are fresh-water and warm to swim in. Camping is also available. Lanquin: Located 63 kilometers from Cobàn, the Lanquìn Cave is a national park consisting of endless caverns, some of which are lit with electric lamps. You may also bring your own flashlights and explore on your own. 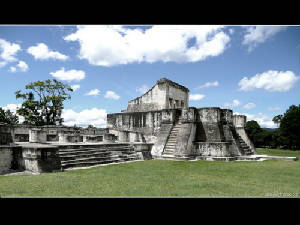 Tikal: Set in a dense jungle full of screaming monkeys and brightly-colored parrots, the pyramids and plazas of Tikal are among the largest and most important of the Mayan world.